Hey everyone! Did you survive the holidays? Lots of you are still on winter vacation, but I'm back to work! But I have no complaints:) I had a wonderful Christmas and New Years with family and friends. Despite the rush of the season, I'm feeling refreshed and ready to take on 2014. So let's get to the first post of the year! 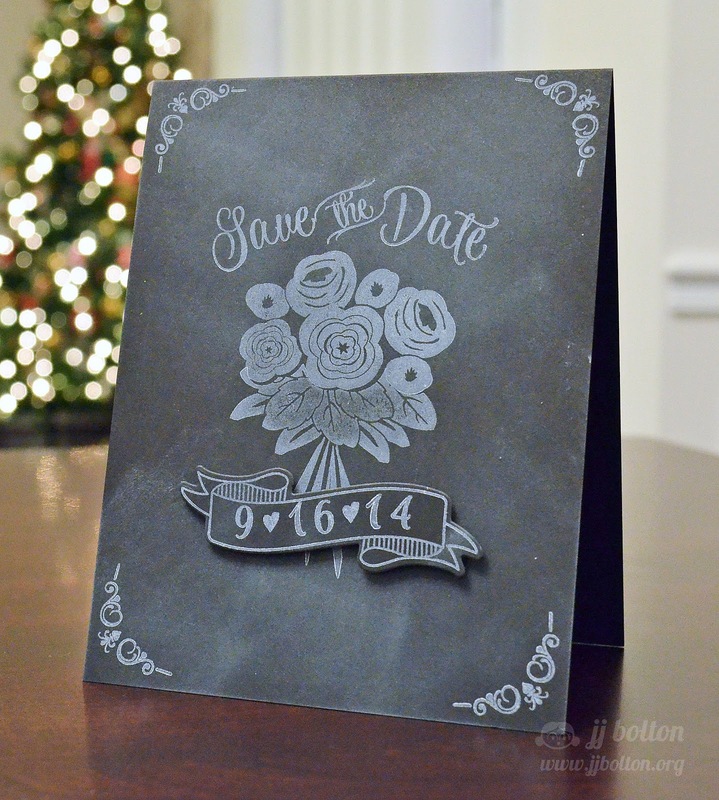 Today, I'm sharing an Avery Elle project using the set Save the Date that came out last month. Isn't that font gorgeous? The flower bouquet is from the new set, Thanks a Bunch. And the banner was made the Build a Banner stamp set and matching die. 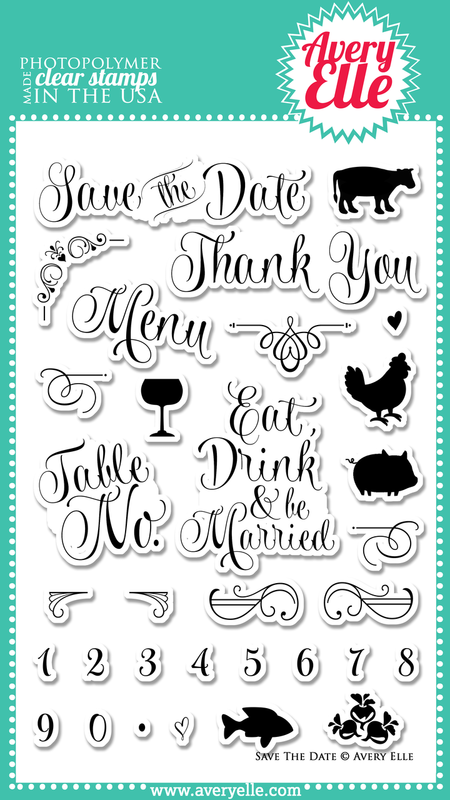 I can totally see continuing this general design for menu cards, place cards, and thank you cards. The first post of the year! That felt good:) Now click over to Heather's blog to see the fun card she has to share! Absolutely gorgeous JJ!! This would work so perfectly for a rustic-themed wedding!! Perfectly executed design, love the little corner stamps, just such a pretty card! I love the chalkboard look with your design, JJ! Beautiful choice of flowers and those flourishes in the corners are divine! You're definitely off to a great start for the new year with this beauty!!! Absolutely love the hearts between your dates! 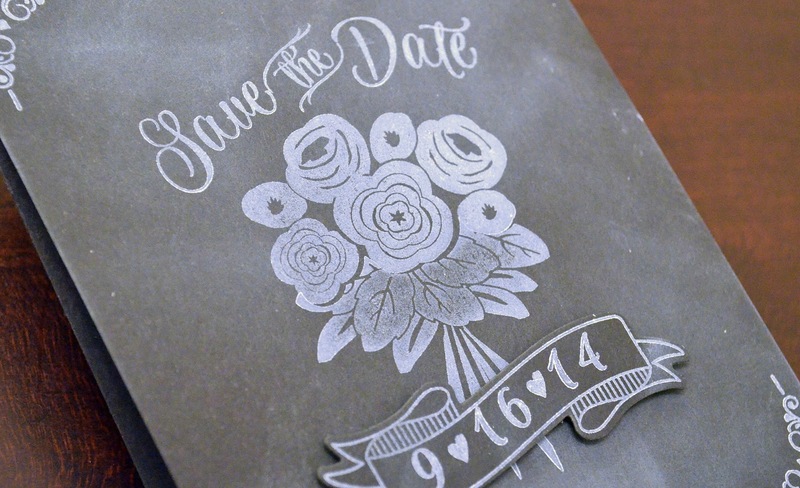 Such a trendy save-the-date card. Your bokeh tree in the background helps make this little number right at home on the cover of a magazine! OMG! OMG! OMG! JJ, this is absolutely gorgeous! I just want to pet it, saying "My precious"! LOL!